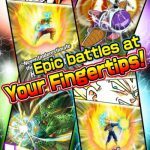 We’ve told you a lot about Dragon Ball Z: Dokkan Battle before, a game from Bandai Namco Entertainment currently available for the iPhone and iPad, and if you remember, we’ve already shared with you some useful tips and tricks. But to get you up to speed on this game, this game allows you to “face off against formidable adversaries” from the popular Dragon Ball Z anime series. The game makes use of board game mechanics, allows you to use power-ups and other items to give yourself a stronger team. 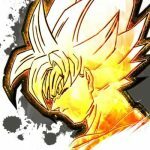 And when it comes to the fighting mechanic, the developer claims the fighting is so extreme “your screen won’t be able to handle it.” Create your own team of Dragon Ball characters – we’re talking about virtually any kind of team, as the game’s makers promise. 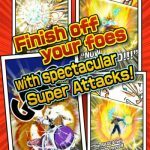 Previously we did share to you a couple of Dragon Ball Z: Dokkan Battle tips and tricks, so let’s give you a few more that you can use to become an expert in this game. Each character has a stat called Max (maximum) Level, which is self-explanatory – that’s the top level they can reach. And once they’ve reached Max Level, you can then “Awaken” them with medals, giving them a considerable boost in stats and increasing their max level cap as well. You’ll find medals in the purple capsules, which are quite plentiful in the game board. When prioritizing training, you want to focus on those that have a lower Max Level, say, a Max Level of 20. You may have someone with a Max Level of 60, one where that figure is at 40, and a couple with a Max Level of 20. It’s those latter characters you should concentrate on, as you can use medals to Awaken their skills once they’re fully leveled up. You’ll be able to Awaken them before everyone else, as it wouldn’t take too long for them to reach their Max Level; just be sure at least one character serves as a “training partner,” otherwise you won’t be able to level a character up in training. 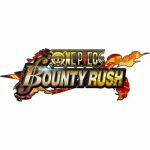 Collecting Ki spheres allows you to fill up that attack power meter, and when it’s completely filled up, you can unleash a 100 percent attack for some devastating damage. Remember that some characters will reach 100 percent attack faster than others – perhaps this would be only about three or four Ki spheres. Go to Team > Character List and tap on a profile photo to know when a character is ready to launch a 100 percent attack. You can enlist a companion before heading out to battle, and choose from a random list of friends. Doing so will earn you friend points (FPs) and help you do more damage against enemies. But you also have to choose wisely – look at a friend’s level, and always choose someone who can give you a lot of FPs. Level would be the tiebreaker if you’ve got several characters with the same number of FPs. 4. Which Tiles Should You Land On, And Which Should You Avoid? When landing on tiles, the Baba tile should be close to the top of your priority list, as Baba can give you a random item or offer random support, as long as you’re willing to pay Zeni. Red tiles with crosshairs should be avoided like the plague, as they reduce your hit points. Tiles with question marks could be a boom-bust situation – it’s all randomized here, so you may get a reward or you may also lose some HP. Blue tiles with flaming “Z” characters increase the Ki of a character at random. Lastly, tiles with a “Stop” sign are unavoidable, and you’ll have to fight an enemy in here. When adding characters, add the ones that activate link skills if they’re side-by-side to each other. Do this by going to Team > Character List, tapping on a character and expanding their profile, tapping Details under Link Skill to see which linkable characters can activate a skill, and repeating for each character. Make sure you’re only adding characters who link to each other. 6. Why Care So Much About Support Items? The blue capsules contain support items, which can be very important at the end of the day. They can give your team lost HP, change the color of Ki spheres, and reduce the enemy’s DEF rating. Always check an item’s benefits and if you believe it’s going to help you in battle, go ahead and tap on it. Also be sure you do not add the same item to the next slot, as all your items have to be distinct from one another. Want more tips to help you in battle? We’ve got them right here, and we’ll start by talking once again about Ki spheres. The more of these you gather, the faster the attack meter fills up, and you can gather spheres quickly by choosing a longer route. If you can’t find a long route, tap on any sphere whose color is the same as your character’s, so you can get twice as much Ki as normal. Also look for weaker enemies in relation to your character type if you’re confronted with multiple bad guys. Lastly, don’t overlook rainbow spheres, which can connect with any color; you’ll want to tap on a rainbow sphere where two or more spheres of the same color are connected. Friend points can be used to summon common characters, while Dragon Stones can be used to summon rarer ones. You’ll need five Dragon Stones or more to summon any character – these stones are acquired as daily rewards or first-clear bonus rewards, meaning you can earn them by finishing a quest and beating a boss on the first try.